TICKETS ON SALE TO THE GENERAL PUBIC TODAY! New York (November 24, 2014) – Producer Harvey Weinstein announced this morning that ABC’s “Good Morning America” will host a special, behind-the-scenes musical performance from his Broadway-bound musical, Finding Neverland, on Thanksgiving morning, at approximately 8:30 a.m. The performance will kick-off a multi-part “GMA” series that will follow the highly anticipated musical to its Opening Night on Broadway next spring. As previously announced, Finding Neverland, starring Matthew Morrison, Kelsey Grammer, Laura Michelle Kelly, and Carolee Carmello, will begin previews on Sunday, March 15, 2015 at Broadway’s Lunt-Fontanne Theatre (205 West 46th Street), and will open on Wednesday, April 15. Finding Neverland co-star and Olivier Award-winning actress, Laura Michelle Kelly, and the show’s composer and multi-platinum, multi-award-winning singer/songwriter, Gary Barlow, will perform a selection from the musical on the top-rated national morning television show live from Times Square. 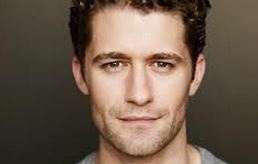 Matthew Morrison to Return to Broadway! New York– Producer Harvey Weinstein announced today that Tony®, Emmy®, and two-time Golden Globe® Award Nominee Matthew Morrison will return to Broadway to star in Finding Neverland as J.M. Barrie. Morrison created the role of Barrie in early workshops of the Broadway-bound musical. Finding Neverland will begin previews on Sunday, March 15, 2015 at Broadway’s Lunt-Fontanne Theatre (205 West 46th Street), and will now open on Wednesday, April 15. “We couldn’t be more thrilled to see Matthew returning to his Broadway roots and back to the role he created in our workshop,” Mr. Weinstein said. Mr. Morrison has previously starred on Broadway in Hairspray, South Pacific, and The Light in the Piazza (for which he was nominated for a 2005 Tony® Award). He is known to television audiences for his Emmy® and Golden Globe® nominated role as Will Schuester on the hit Fox show, “Glee.” Morrison has also released two studio albums since 2011, with the most recent being Where It All Began – a collection of standards, many first made famous in Broadway musicals. Based on the Miramax motion picture by David Magee and the play The Man Who Was Peter Pan by Allan Knee, Finding Neverland follows the relationship between playwright J. M. Barrie and the family that inspired Peter Pan, or The Boy Who Wouldn’t Grow Up – one of the most beloved stories of all time. Directed by Tony Award®-winner Diane Paulus (Pippin) with book by Olivier Award®-nominee James Graham, music and lyrics by U.K. pop sensation Gary Barlow (Take That) and Grammy Award®-winner Eliot Kennedy, choreography by Emmy Award®-winner Mia Michaels (So You Think You Can Dance), this new musical explores the power of imagination to open up new worlds, and the pressures put upon those worlds by the inevitability of growing up. In its sold-out, world-premiere engagement at the American Repertory Theater (A.R.T.) at Harvard University, Finding Neverland played a total of 75 performances at the Loeb Drama Center on – all of which played to capacity crowds, making it the highest attended and highest grossing production in A.R.T.’s 34-year history. Additional casting information will be announced shortly. Gerard Butler’s “Machine Gun Preacher” mows down the Oscar competition at TIFF! Is it only Day Three? I feel like I’ve been here, at TIFF, my entire life! You enter into a Festival Time Warp (when a film festival is really working right and you’re out-of-town, especially) It’s a Film Festival Bubble that in some major ways you never want to burst. And return to reality but TIFF’s magic is in full swing now. I think in the real world, it’s Saturday evening,and I’ve got to head out momentarily to the tres swank Unifrance party. Always a high point. But ANOTHER high-point for sure was interviewing the great Gerard Butler today and telling him that ( I hope) he’s going to be going to the Oscars come February for the unforgettable “Machine Gun Preacher” which also is going to get a boatload of Oscar considerations in all categories. You heard it here, first, folks. “Machine Gun Preacher” is one of the best film of the year, and Oscar may very well agree. I predict that the Academy will not be able to resist the emotional powerhouse that is”Machine Gun Preacher.” And they certainly are not going to be able to resist the idea that Gerard Butler comes into his own as a magnificent screen actor whose acting chops match any one this or any Oscar season. Playing a Real Life Action Hero and Savior of hundreds of lives in the war torn worst areas of Africa, Butler totally comes into his own and scares you to death in the first part of the film, where he plays a for-real criminal, and then morphs throughout the film into one of the most heroic men you’ll ever know of. And I got to meet and interview the real life Lee Childers, who is a former career criminal and Pennsylvania red-neck and now is beyond reproach as someone is fighting the incredible fight in Africa. I can’t stop thinking about this movie! And you won’t either! And neither will the Academy! I got to tell Lee Childers, the screenwriter, director Marc Forster and Gerard Butler this news myself. In person. This morning. At the Toronto International Film Festival. I never thought I could realistically top my telling Colin Firth and director Tom Hooper of the “King’s Speech” that they were going to be winning Oscars that coming winter, only last year. This was also in the first days of the Toronto Film Festival. They were flabbergasted at the news. But yes, I was right. It was true. They did win. And very soon next week or sooner, I hope you’ll be able to see me work the same Oscar Messenger magic with “Machine Gun Preacher” on my You Tube Channel as well, with all these interviews I am so happy to be describing. Gerard Butler has not been nominated ever and he’s the right age and at the right point in his career to receive this honor. and recognition. I hope he gets it. “Machine Gun Preacher” is going to be a film that this year, the Academy won’t be able to ignore. Oscar Buzz continues at TIFF for Gerard Butler & “Machine-Gun Preacher”! And Tilda Swinton, too! Now as one film’s career rises and another falls, it’s fascinating to watch the ups and downs that one screening can lead to at TIFF. It’s like a thumbs up and/or a thumbs down from the Romans in the Colosseum. It’s a thoroughly griping action-er as well as being an amazing true story of this former alcoholic/drug addict/jail-bird (Butler) who totally gets his life under-control through the help of his devoted Christian wife(Michele Monaghan of “Trucker”) and ends up, like “Book of Mormon”s hapless elders in Uganda. And a very different Uganda from the one that’s selling out on Broadway. It’s a desolate, lawless, hell-on-earth, where children routinely are dismembered and forced to kill their family members. And director Marc Forster(” Finding Neverland”) keeps the adrenaline pumping and the danger level high as the reformed Butler barrels through the African wilderness like a born-again Rambo, trying to save all the children, and there seem to miliions…who are desparately in need of medicine, schools, orphanages. And Butler tries to build and re-build all of them. AND HE DOES! The incredible arc his character goes through addiction, jail, murder, reformation, then heroics in the African wild are catnip to Oscar. And Butler hits all the right notes, and is utterly believable all the way through and back again. His scenes with the children will make audiences world-wide cry and stand up and cheer. He and this powerful film and its’ timely topic are definitely going to be part of the Oscar conversation. Another to be hotly debated Oscar topic is going to be Tilda Swinton’s career best performance in “We’ve Got to Talk About Kevin”, an extremely disturbing and powerful look at another difficult and timely theme. What is it like to be the mother of a school shooter? A la Columbine. Swinton is magnificent but will audiences and Oscar voters be able to turn out to watch this? As great as it is, that’s the Oscar topic that is Tilda’s stumbling block here. The handling of both these films by their campaigners and distributors will determine whether or not “Machine Gun Preacher” and “….Kevin” will be in the forefront of voters minds and DVD piles come this Christmas. They certainly SHOULD be, IMHO.